I blended two Distress Oxide inks over a stencil for this background. Supplies: Stamp – My Favorite Things, paper – Neenah Classic Crest Solar White, Poptone Razzle Berry, Stampin’ Up! Basic Black, Stardream Metallics Flame, inks – Tim Holtz/Ranger Distress Oxide Inks Picked Raspberry, Squeezed Lemonade, VersaFine Onyx Black, dies – Impression Obsession, stencil – Neat & Tangled, sequins – Pretty Pink Posh, embossing powder – Ranger clear. 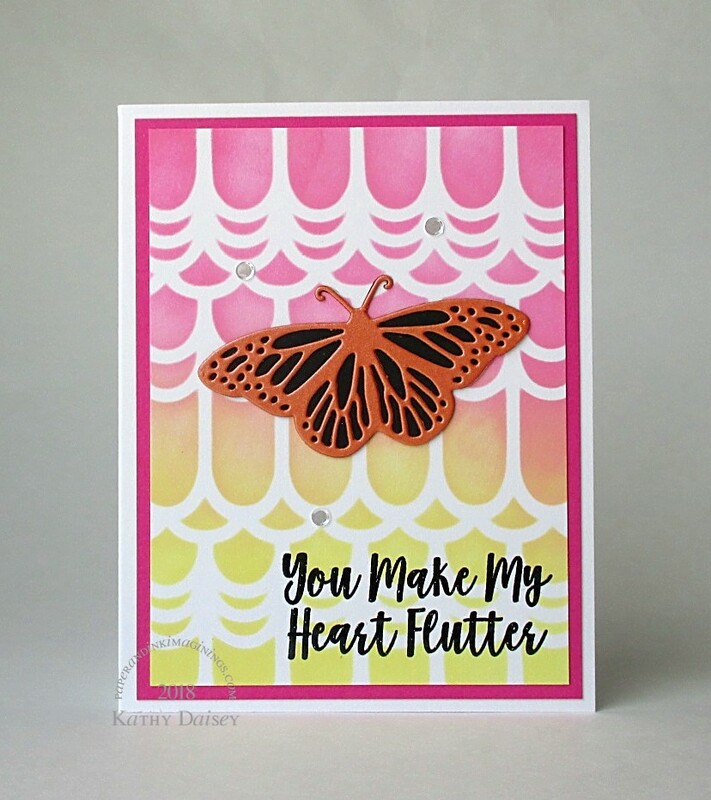 Categories: card, I love you | Tags: card, Distress Oxide, Impression Obsession, My Favorite Things, Neat & Tangled, Neenah, Poptone, Pretty Pink Posh, Ranger, Stampin' Up!, Stardream, Tim Holtz, Tsukineko, VersaFine | Permalink.